Here's a 'file under: I had no idea' item which I found recently in a secondhand bookshop. 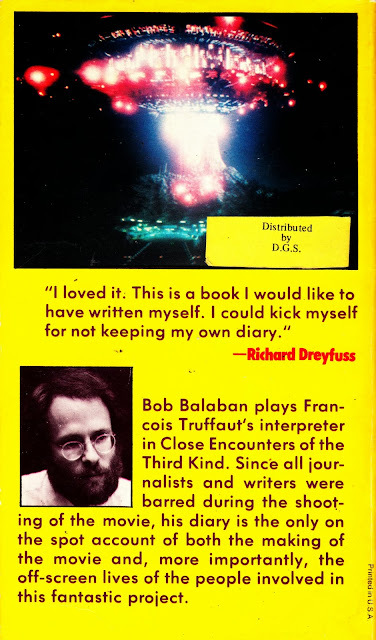 The CLOSE ENCOUNTERS OF THE THIRD KIND DIARY, a licensed item written by one of the cast (see the back cover blurb below), must have done the rounds alongside the film... but I've never spotted a copy before. I must confess that I've not read it yet but it looks a detailed tome. The paperback format contrasts with today when a publisher would find a way of incorporating a lot less text into a book (or several) that's at least twenty times more expensive. 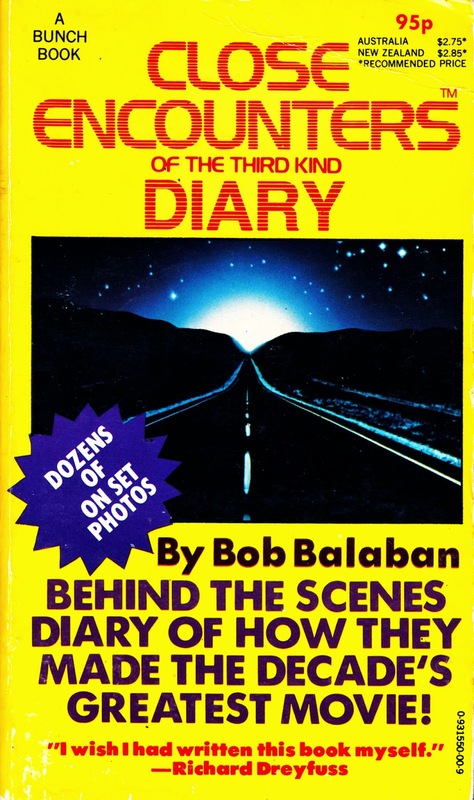 At the time there were adverts saying "If you liked Star Wars you'll love Close Encounters" which was ridiculous as Close Encounters was slow and cerebral, the polar opposite of Star Wars! I know exactly what you mean... I remember going to see Close Encounters when it was released with the expectation that I was going to see another STAR WARS and being a bit flumoxed when it wasn't. I probably should have persuaded my parents to take me to BATTLESTAR instead.